After you search and find a book in the catalog, you need three pieces of information to locate your material. Status: Whether the book is available, checked out, or missing. Input below the call number of a book at Ellis Library to receive a map and written directions to the book's location. Still Can’t Find a Book? Make sure you are looking in the correct library. Check the library location. Make sure the book is not already checked out. Check the status. Look for the reshelving area and check there. Reshelving areas are usually against walls and are marked RESHELVING. 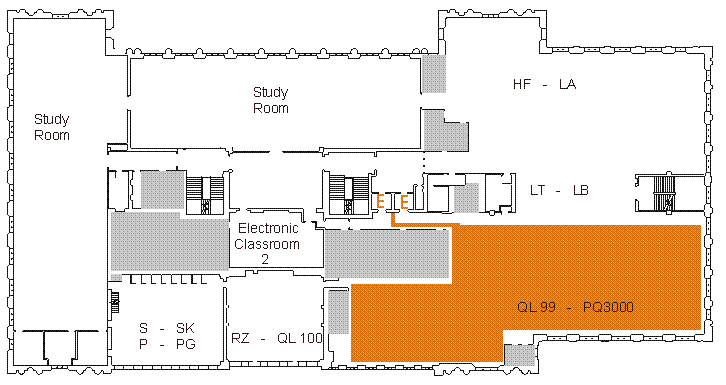 Go to the shelving room of the 4th floor of Ellis and ask for assistance: Map or Video Directions. Ask for help at the Reference Desk. Request the Library locate the book and hold if for you at Circulation. This might take several days. Follow the UMLD directions. See if book is available on another campus (MOBIUS) and request the book be sent to you. 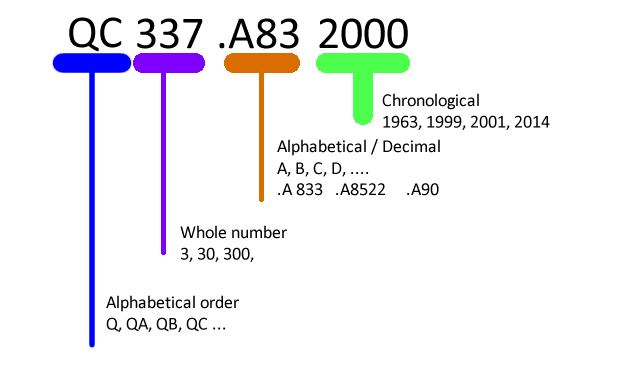 Find out more about the Library of Congress Classification System. If the book is still on the shelf, it can be checked out for a shorter amount of time because of a pending request on it. BILLED A patron has kept it past the due date. Checked out until the listed date. Is being processed to be added to the library. It will soon be available to check out. Not available to check out. It is being transferred between libraries. May only be used inside of the library. This code is usually reserved for Reference Books and books in Special Collections. NEW BOOKS On a new book shelf in Ellis or a branch library. NOT CHECKED OUT In the library and available to be checked out. ON HOLD Has been recalled by a patron. ON HOLD SHELF Being held at the circulation desk for the patron who has requested it. The item has been requested (paged) and has not yet been pulled from the shelf. UNDER CONSIDERATION In the approval room for the Library to evaluate. It will most likely be added to the library and soon be available to check out.